Teaching Children Chinese has never been this easy. Teaching Children Chinese today is much simpler today than it was in the days when books, paper and pen were the only means available. Now kids can learn to read and write Chinese characters Online using an interactive learning environment with fun and exciting. Learning Chinese at home will save parents the trouble of sending and picking up children. 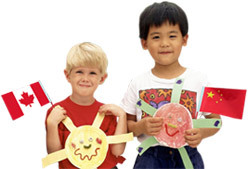 This course is designed especially for children of different Chinese proficiency level. Well structured Chinese textbooks with key themes are Easy and Fun for Kids. Online small group learning (2-3 kids per lesson) is available. Please contact our agent for more detail.